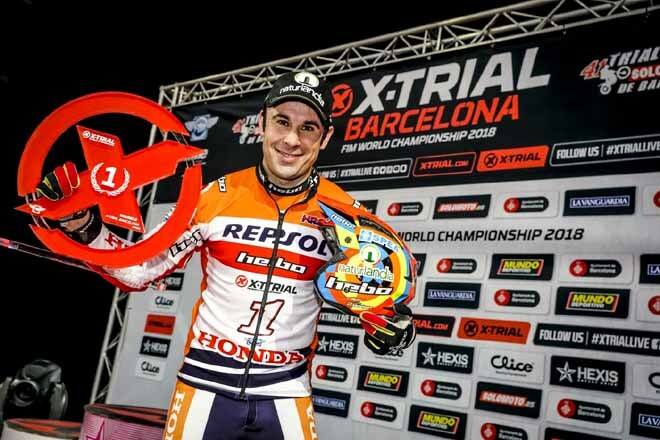 Reigning and eleven-times X-Trial World Champion Toni Bou recorded his fifth win of the season, with a twelfth Barcelona victory in a spectacular event that was only decided in the penultimate section. 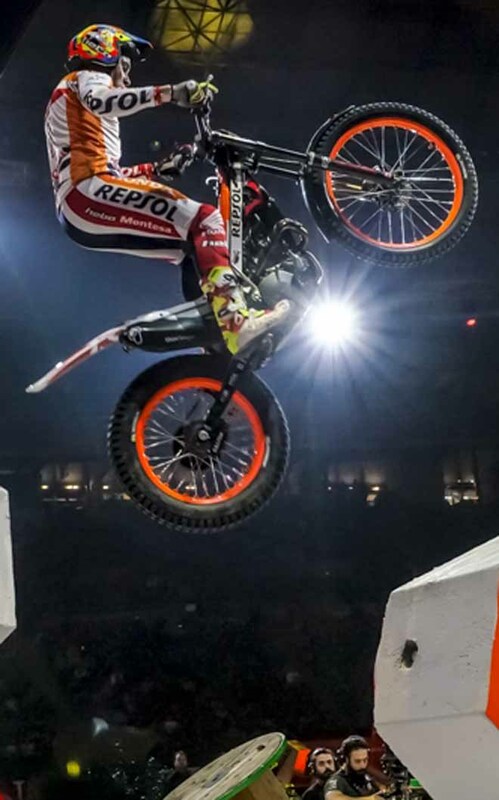 In front of 9,000 spectators that packed the Palau Sant Jordi, the Repsol Montesa Honda rider got the better of main series rival Adam Raga (TRS) by a six-mark margin. The crucial moment in the Final was Section Three, where Adam Raga recorded his only fiasco, Toni Bou dropping his first mark of the lap but moving six marks in front. From there, the riders were evenly matched and the gap remained between them until the end of the final section. Much to his delight and that of the crowd, Bou had secured his latest win with a section to spare, but finished with a flourish in the spectacular stadium section. Raga, though, pushed right the way through the night, having topped the standings in Round One of the heats, and going on to a close second behind Bou in the second Round. 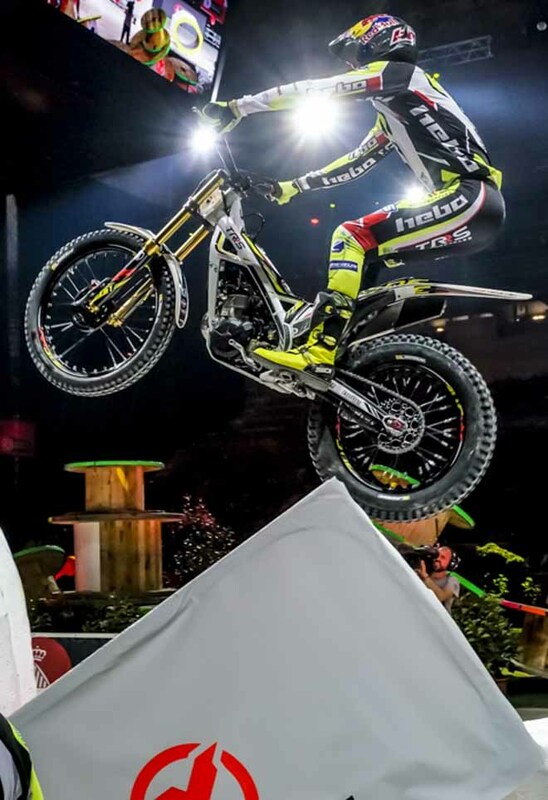 It was a lock-out of the podium positions for home riders in Barcelona with Jeroni Fajardo (Gas Gas) enjoying his best performance of the new X-Trial era so far and a valuable third place. 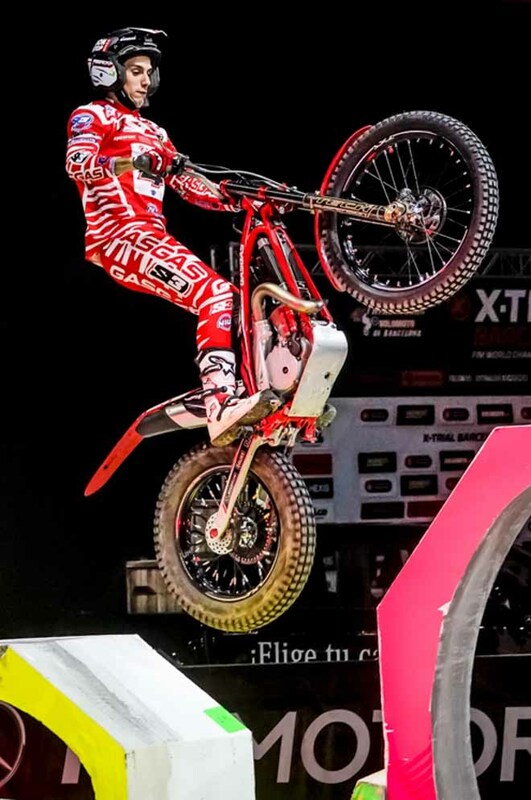 His result sees him through to X-Trial Sevilla as the automatic qualifier, having got the better of event rider Takahisa Fujinami (Montesa) in the second round of heats. The Japanese rider finished sixth after close scoring in the second round, where third to sixth positions were decided by just four marks. Benoit Bincaz (Scorpa) continued to demonstrate a high standard of riding by snatching fourth position despite the unfavourable first starting position in Heat One. And Jaime Busto matched his 2017 X-Trial Barcelona performance with another fifth position ahead of his former teammate Fujinami. Miquel Gelabert (Sherco) was eliminated in Round One for the first time in his debut X-Trial season, but got the better of James Dabill (Beta) and Arnau Farré (Vertigo) for seventh. Successive failures in sections three and four cost the British rider dearly as he took eighth, his worst finish of the campaign so far. Rounding out the finishers was home Wild Card Farré, who retired with an injury to the ligaments in his left knee after failures in the opening sections. The sixth round of the series is scheduled after a mid-season break for 8th March in Seville; the first time that the FIM X-Trial World Championship has visited the Andalusian capital. Nel più vecchio scenario indooristico, il palazzetto San Jordi di Barcellona, giunto alla sua 41* edizione, di fronte a 9000 spettatori, non stecca il super campione e si aggiudica la quinta dell'annata su altrettante prove. Raga è ragionevolmente secondo grazie ad un ottima prima fase, in cui ha addirittura relegato Bou al secondo posto, battendolo per un punto. Primo podio stagionale per Fajardo , primo a partire, quindi doppiamente bravo per la sua prestazione. La prossima in Andalusia,a Siviglia l'8 marzo.